The Index continues growing up. It looks like the price is currently forming an ascending impulse inside wave . On the minor wave level, the instrument is completing the third wave. In the near term, the Index is expected to start a local correction. 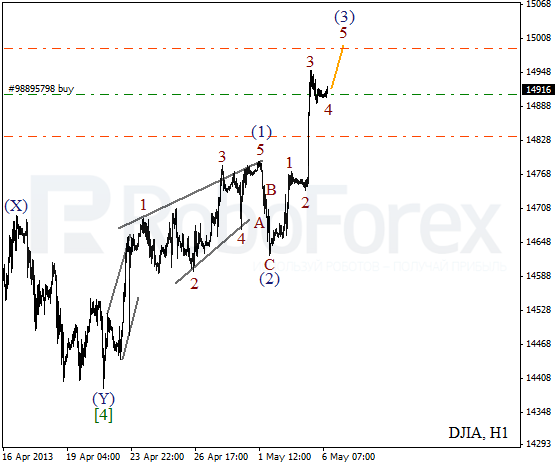 As we can see at the H1 chart, the Index formed a bullish wedge pattern inside wave (1). 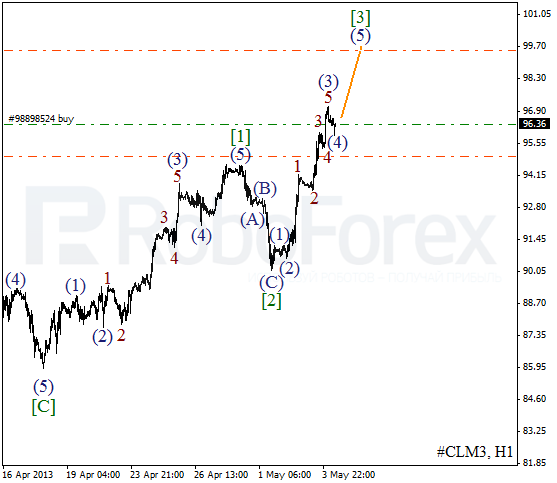 At the moment the price is forming wave (3) with the fourth wave inside it. During the day, we can expect the instrument to start a new ascending movement inside the fifth wave B. We can’t exclude a possibility that Oil completed forming triangle pattern inside wave [B]. If this assumption is correct, then the price is currently forming an ascending impulse with the third wave inside it. During the week, the instrument is expected to continue moving upwards. 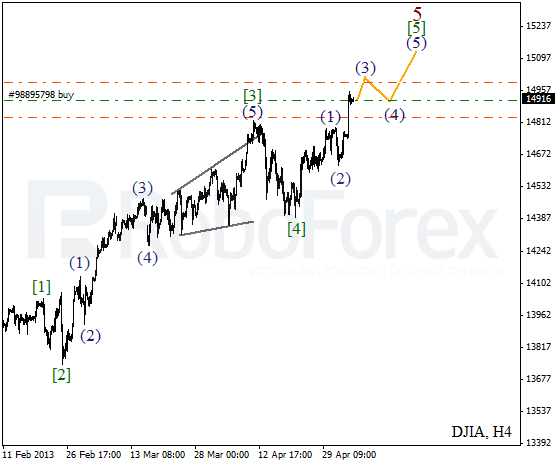 At the H1 chart, we can see that the market completed wave (3) and started a correction. 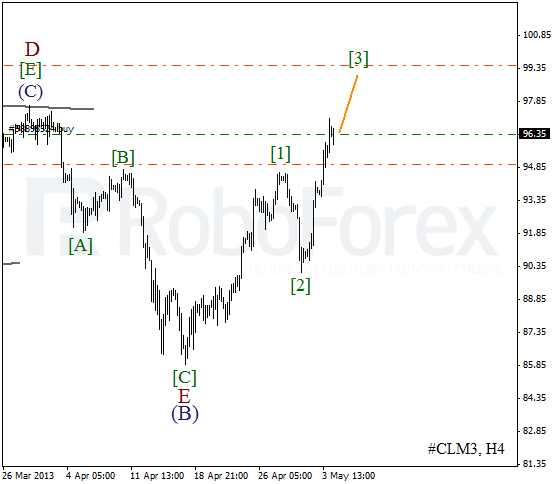 We may assume that Oil may finish the fourth wave during the next several hours. The instrument may reach the level of $100 per barrel of Light Sweet while forming wave (5) of .